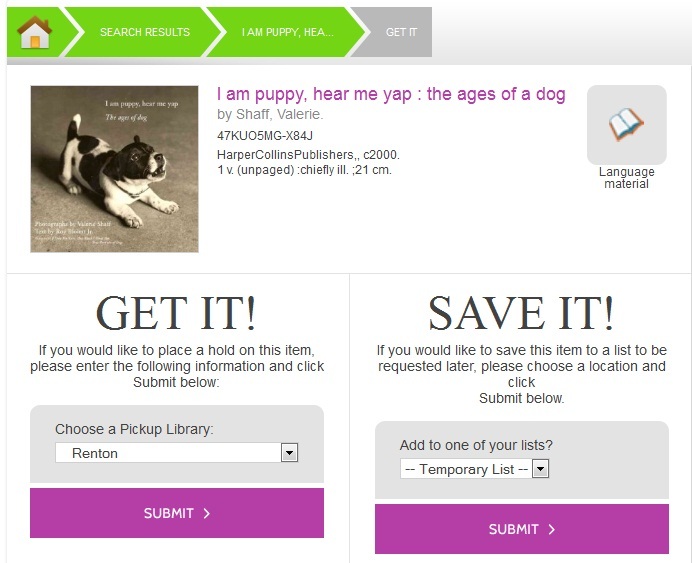 You can save items to a temporary list, or, if you are logged in, you can save to a list of your own creation. 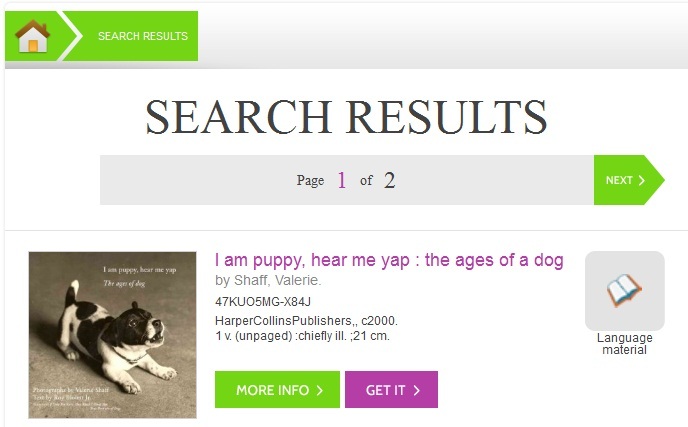 To save items to a list, click the Get it button on the Search Results page. 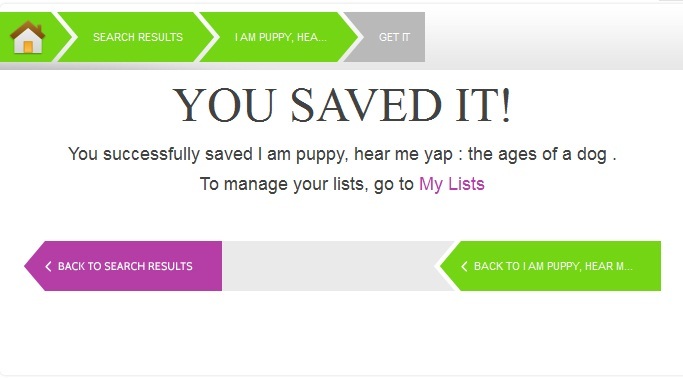 Select a list in the Save It! panel beneath the brief information, and click Submit. A confirmation of the saved item appears. To save the item to a list or to manage the lists, click the My Lists link to return to the list management feature in the TPAC.